Our Cadence aims to help you meet our local DJ on Club Penguin Rewritten so that you can receive a hard-difficulty and obtain her exclusive background! Cadence’s Autograph is her first background which was only available during the 2000 Players Celebration & the 1st Anniversary Party. It could be obtained at the Waddle on Party without meeting Cadence by clicking a bot of her at the Night Club. It could later be obtained by meeting Cadence at the Music Jam 2018 and Dance-a-Thon in 2019. Cadence’s Background is her second background, and personally one of my favourite mascot backgrounds. 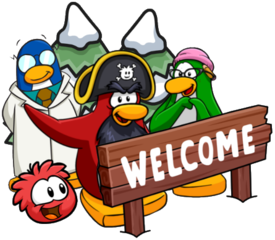 It was obtainable during the Music Jam in 2017 along with the 1 Million Players Celebration and Waddle on Party 2018. Due to a bug, some players got it at the 1st Anniversary Party too. Here’s how the backgrounds look like on a playercard. 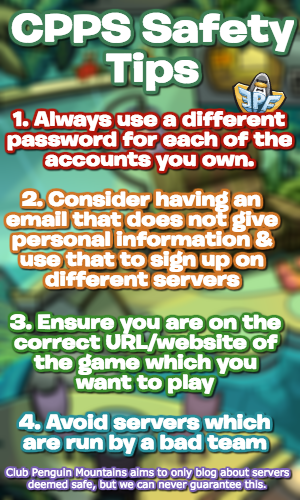 Good luck finding Cadence, and remember to keep checking back here for an increased chance in doing so!